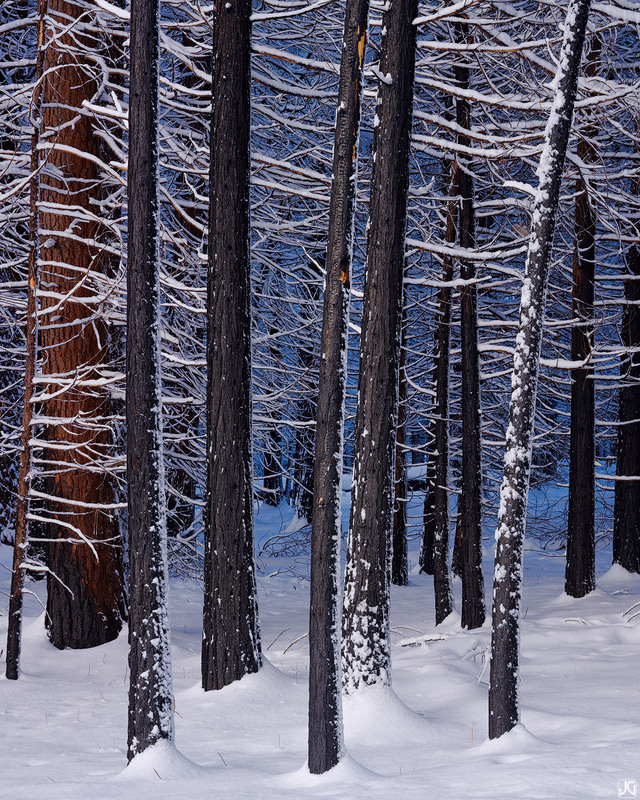 Winter in Yosemite is magical. These trees stood out from the others in this forest in the valley and the blue glow in the distance increased the magic factor by ten. Photo © copyright by Jimmy Gekas.